With about 3.4 million inhabitants, Berlin is the most populous and with 892 square kilometres the largest city in Germany as well as the second largest in Europe by population. 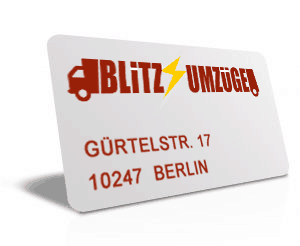 With Blitz Umzuege you can move within Berlin! Somewhere else? 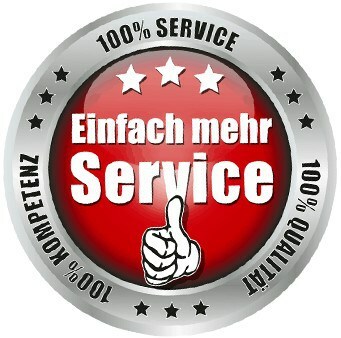 We are of course also a reliable partner for your move throughout Germany and Europe. The district has its name from the Friedrichshain Park in the north and extends south to the spree. Friedrichshain is one of Berlin’s scene districts – at the end of the 1990s, the area around Simon-Dach-Strasse developed into a pub district with many small shops that attract young audiences from all over the city and tourists. Pankow is located in the glacial valley of the Panke and is named after this tributary of the Spree. The first documentary mention of Pankow was 1311. In the 1980s, the municipal council of Berlin had larger areas of small gardens and built new residential areas on the building land, for example on both sides of the Arnold Branch Road. Several tram and bus lines open up the district. A major traffic junction is the area around the Pankow station. Prenzlauer Berg is part of the district Pankow in the northeast of Berlin. The highest point of the district is today at 91 meters above sea level in the northeast in the public park Prenzlauer Berg. Prenzlauer Berg, with more than 150,000 inhabitants, already has the dimension of its own big city. There are relatively many young people living in Prenzlauer Berg: especially people between 20 and 44 years. The district of Mitte was formed in 1920 as an area. It covers the core area of Old Berlin. As a landmark, the Berlin TV Tower, near the Alexanderplatz, represents the centre of Berlin-Mitte, at the foot of which stands the Red City Hall. Kreuzberg belongs to the very densely populated parts of Berlin in addition to Neukölln, Friedrichshain, health well and Prenzlauer Berg. The district is one of Berlin’s scene districts, and Kreuzberg also has a vibrant cultural life. Kreuzberg led to an economic niche at the time of the Berlin Wall through its periphery. The German reunification has brought it to the centre of Berlin. The Angerdorf Lichtenberg was created in the course of the German colonisation of the Barnim at 1230. The municipality of Lichtenberg with its 71,000 inhabitants received the city law on April 1, 1908. The city of Lichtenberg 1920 was incorporated into Berlin by the foundation of Groß-Berlin. The wedding is mostly characterized by old buildings with Hinterhäusern from the founding period and multi-storey buildings of the social housing construction of the 1970s and 1980s. The wedding has an average age of 38 to 40 years. Like many other villages in the area, Hellersdorf 1375 was first mentioned in the Land of Charles IV. From the mid 1980s onwards, Hellersdorf was expanded. Residential buildings were built. As the second largest construction project in Berlin, 1997 the Urban Centre “light Mitte” was completed and solemnly opened. Founded in the year 1705 as a city, Charlottenburg at 1900 was a city of great social contrasts in a small space and 1920 incorporated into Greater Berlin. From the middle of the 1950s, we used the abundant building gaps for the construction of high-rise buildings. The present district of Charlottenburg is located in the Warsaw-Berliner Glacial valley. Charlottenburg is the most populous district of Charlottenburg-Wilmersdorf. The district of Treptow was created along the Görlitz railway and moved as a long-stretched area from the city centre of Berlin to the city limits. When the district borders were changed in the year 1938, the district gave up the hamlet of Wuhlheide and the district of Köpenick. The district of Treptow enclosed the area between Kreuzberg, Neukölln, Stralau and the Ringbahn plus the Treptower Park. This district bears the name Alt-Treptow today. In the 1990s, the Treptowers were built on the former site of the Treptow equipment plant of the AEG group. Köpenick, formerly Cöpenick, is a village in the district of Treptow-Köpenick in the southeast of Berlin. Köpenick lies in the middle of the Berliner Glacial valley at the mouth of the Dahme in the spree. 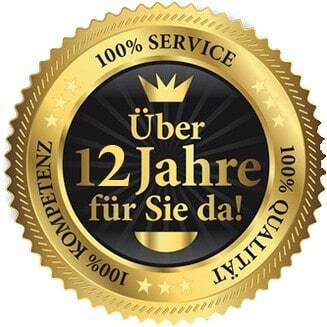 By the act of the chief man of Köpenick in the year 1906 the then City of Cöpenick (near Berlin) became known world. Until 1920, Neukölln was an independent city, which bore the name Rixdorf until 1912. The renaming of Rixdorf to Neukölln took place with the consent of Kaiser Wilhelm II on his 53 birthday on January 27, 1912. After the Second World War, Neukölln belonged to the American sector of Berlin and was a part of West Berlin until 1990. The Berlin Wall separated it from the neighboring district of Treptow, which belonged to East Berlin. The origins of Spandau are due to a Slavic settlement, which was created at the confluence of the Havel and the Spree river. The castle of Spandau is mentioned for the first time in the year 1197. The Spandau Citadel, now part of the district Haselhorst, was completed in the year 1594. On October 1, 1920, Spandau lost its municipal autonomy and became part of the eighth District of Berlin. The 1978 remodelling of the old town to a pedestrian zone was completed after more than ten years 1989. In terms of language use, Zehlendorf often stands for the district of Zehlendorf as well as for the former district of Zehlendorf, which was around the centre of Zehlendorf, and extended to the Wannsee waters through villas settlements. On September 22, 1838, the first Prussian railway from Potsdam to Zehlendorf drove. 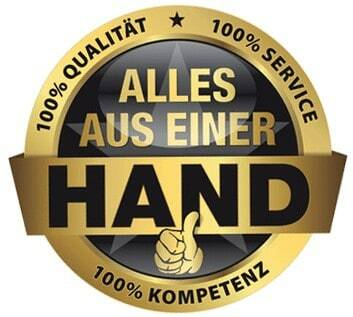 In the year 1872 the Autonomous municipality of Zehlendorf was founded. In 1920, the rural community was incorporated into Greater Berlin.